Ryan Photographic - Bivalvia - Clams, mussels, oysters etc. As and when I get more photographs of bivalves I will probably split them into orders - as there are 106 families I doubt I'll ever get to the family level. But for now, when I have relatively few species, it makes more sense to bundle them together. 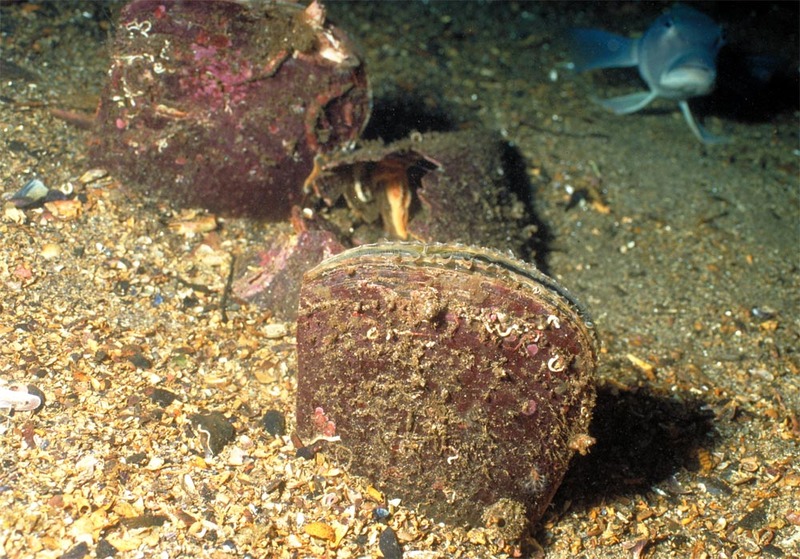 There are currently around 9,200 bivalve species but new ones are being added on a regular basis. 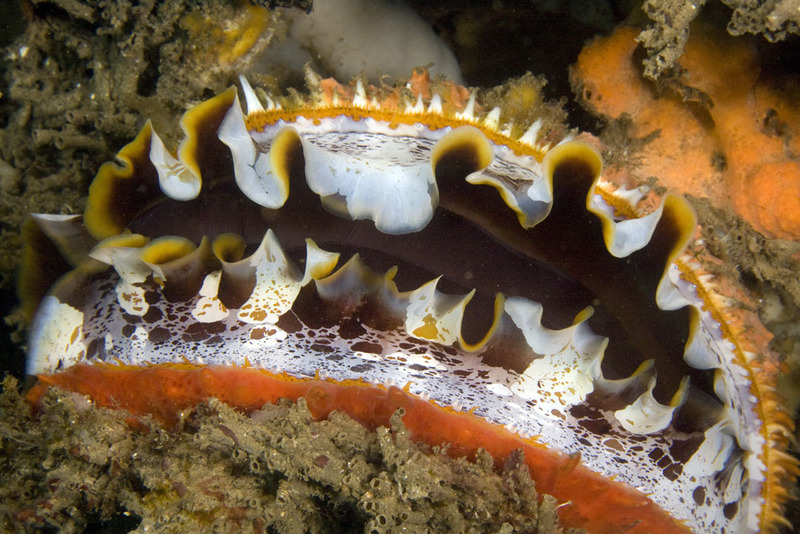 Bivalves are found in fresh, brackish and marine waters. Humans have long exploitd these shellfish - mainly for food but also for money and decoration. A still hinged pair of bivalve shells makes a very handy tweezers and some cultures used these to pull beard hairs. 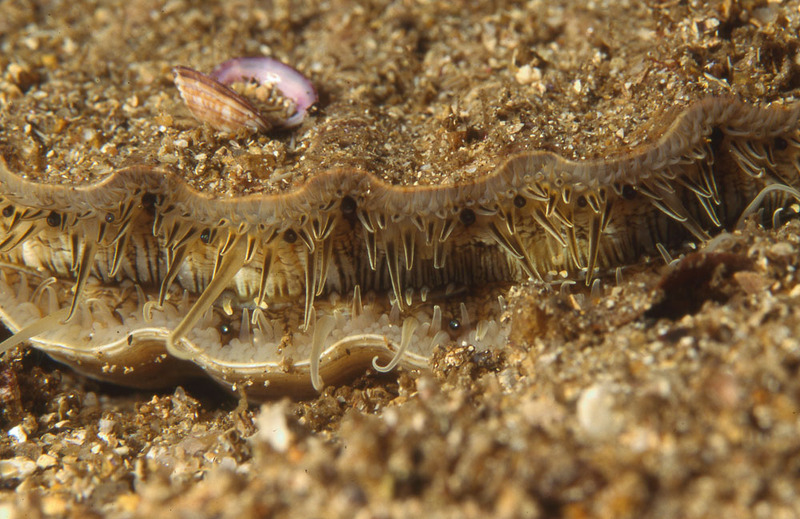 Many bivalves live buried in sand or mud with only their inhalent and exhalent siphons visible. A strong muscular foot enables them to retract into the sand or bury themselves if they are exposed. 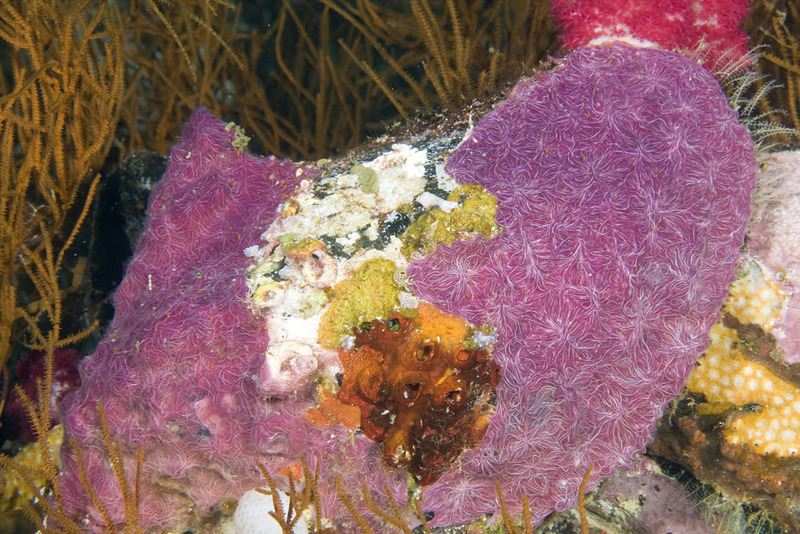 Their primary predators are sea stars which are able to exert force over a long enough period of time that the adductor muscles of the bivalve become weakened and the shells slowly open. Mussels and oysters are able to attach themselves to rocks even in very strong surge conditions and their quick drying biological cements have come under scrutiny from materials scientists. Pearl oysters ae cultured for their exquisite pearls and mussel farms provide fresh, frozen and smoked animals to the markets. 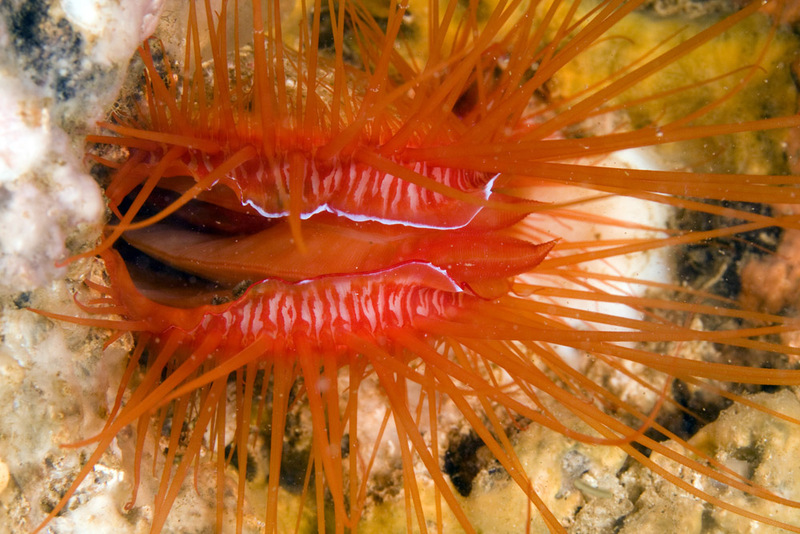 Most bivalves are filter feeders. They pump water in through a siphon and pass it over feeding/respiratory structures called ctenidia. Labial palps scrape food off the ctenidia and pass it to the mouth. 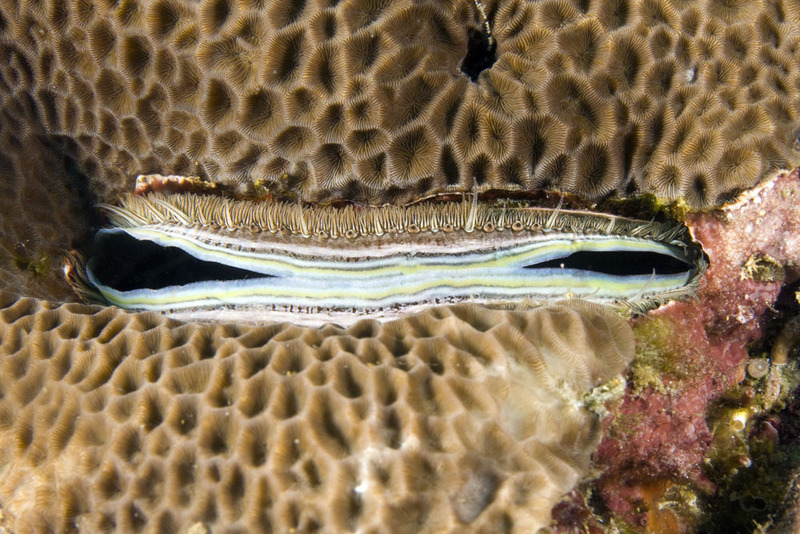 A few specialized bivalves, such as the shipworm, live in wood. Once sustained purely by timber washed down rivers and streams they found human vessels very much to their liking. Many ships, their timbers weakened by ship worm, sank without trace. Eventually we learned to sheath the hulls of our boats with copper and thus kept the shipworms at bay. The advent of iron ships mostly did away with the problem. In the Great Lakes of the United States, the zebra mussel causes economic damage as the tiny bivalves clog up cooling water and other intakes. 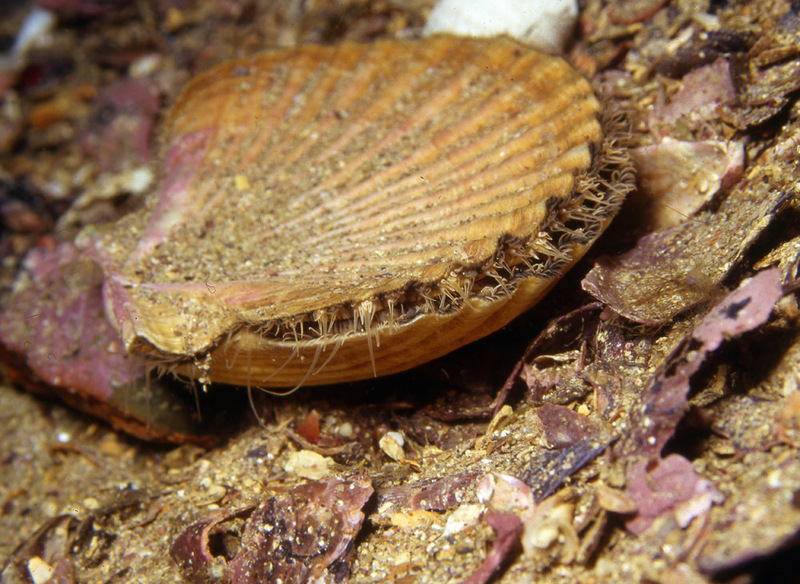 Some bivalves such as the scallop can swim up opening and closing their valves. They typically do this to avoid predation. 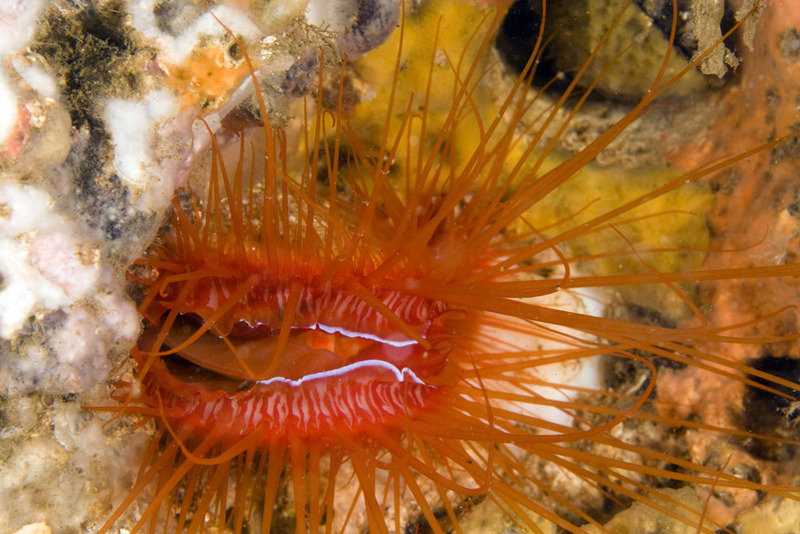 Most bivalves release eggs and sperm into the water. 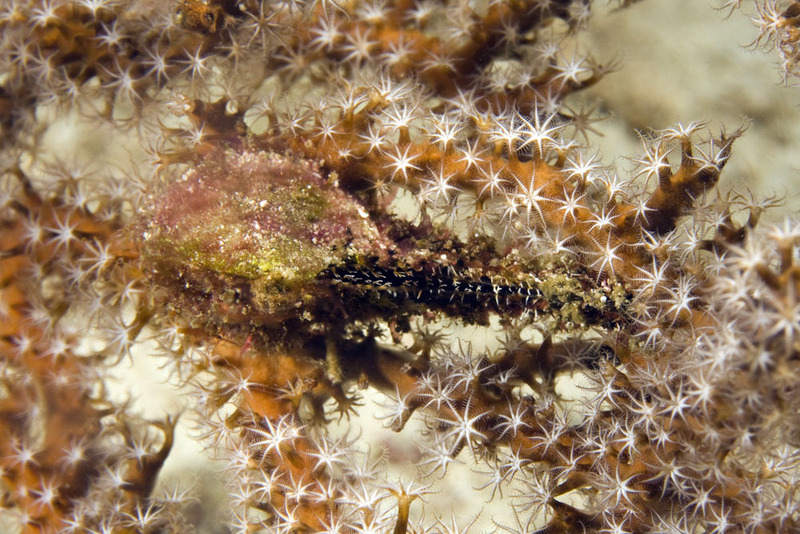 The fertilized egg develops into a free-swimming larvae. In some freshwater mussels the eggs are internally fertilized and remain within the female until they become glochidia. 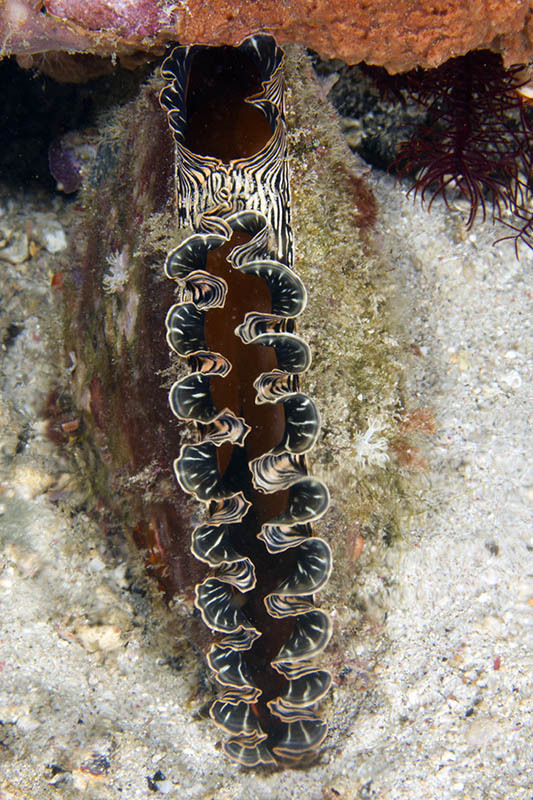 Some mussels develop an appendage that looks like a bait fish to the larger fish predators. 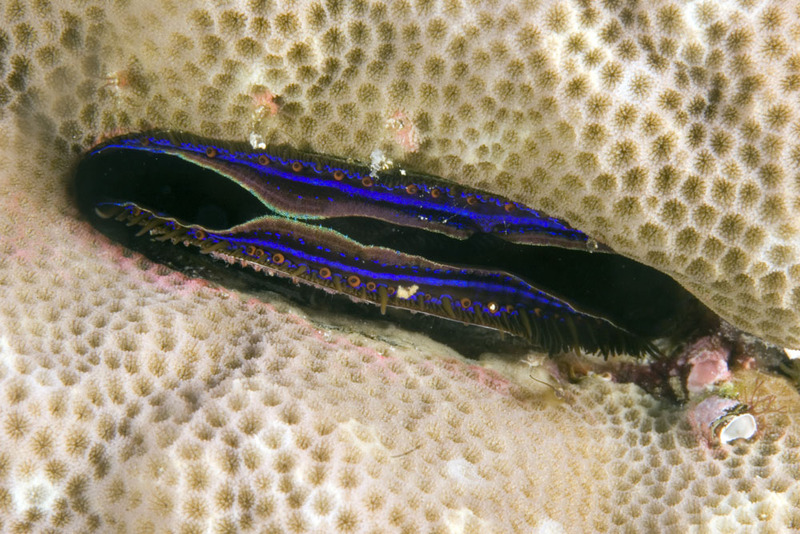 When they come to investigate, the mussel spits the glochidia into the mouth of the fish. The glochidia clamp onto the gills of fish and feed on the blood until they release and settle on the bottom in a filter feeding mode. MOLL 7439 Atrina pectinata Puerto Galera, Philippines. Atrina zelandica New Zealand horse mussel, Fiordland, New Zealand. Pecten novaezelandiae Common scallop, Fiordland,New Zealand. Pecten novaezelandiae Common scallop, close-up, Fiordland,New Zealand. MOLL 2744 Pedum species (maybe) Raja Ampat, West Papua. 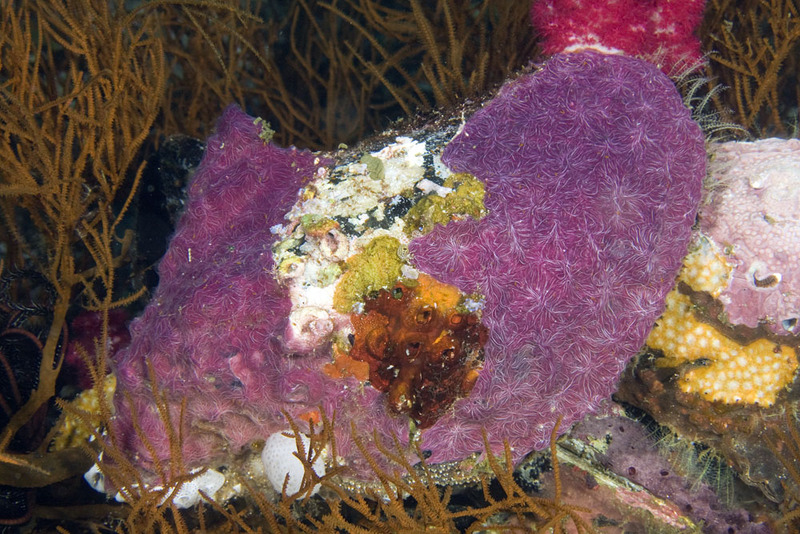 MOLL 2745 Pteria penguin Penguin wing oyster on Antipatharian coral, the shell is covered by an encrusting sponge and several ascidians. 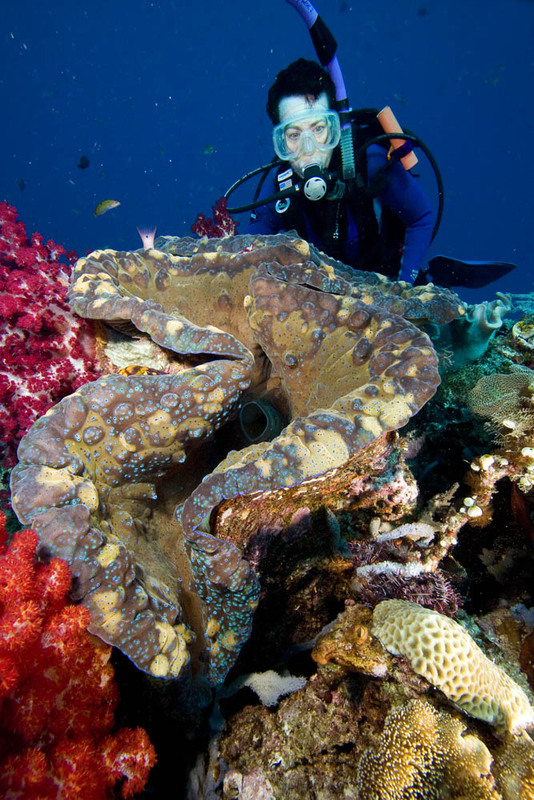 Raja Ampat, West Papua. 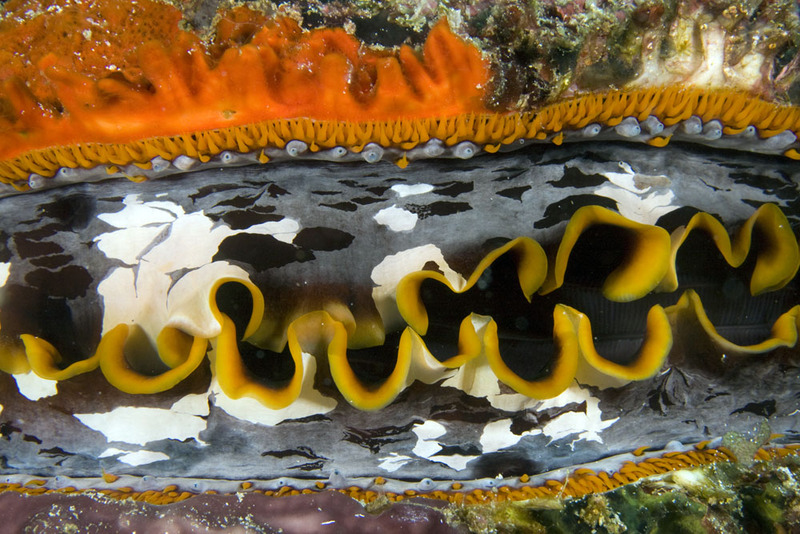 MOLL 2744 Pteria penguin Penguin wing oyster on Antipatharian coral, the shell is covered by an encrusting sponge and several ascidians, Raja Ampat, West Papua. MOLL 1934 Spondylus varians Variable thorny oyster, Raja Ampat, West Papua. MOLL 1475 Spondylus varians Variable thorny oyster mantle detail Raja Ampat, West Papua. 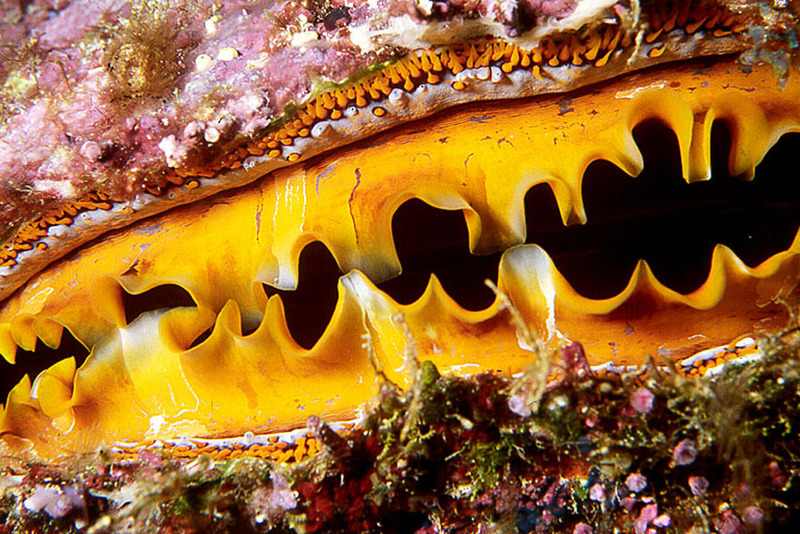 Spondylus varians Variable thorny oyster mantle detail, Fiji. 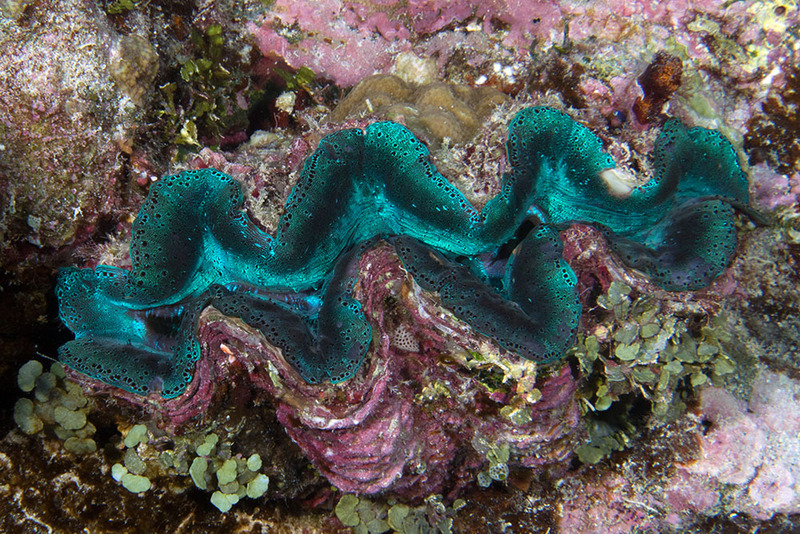 MOLL 9417 Tridacna gigas, Giant clam, Raja Ampat, West Papua. 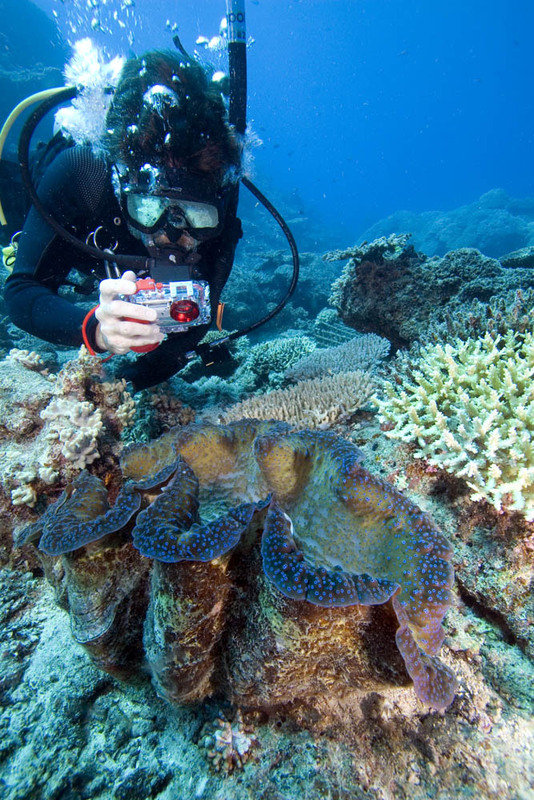 This arguably one of the world's biggest giant clams. It is as long as my outstretched arms. 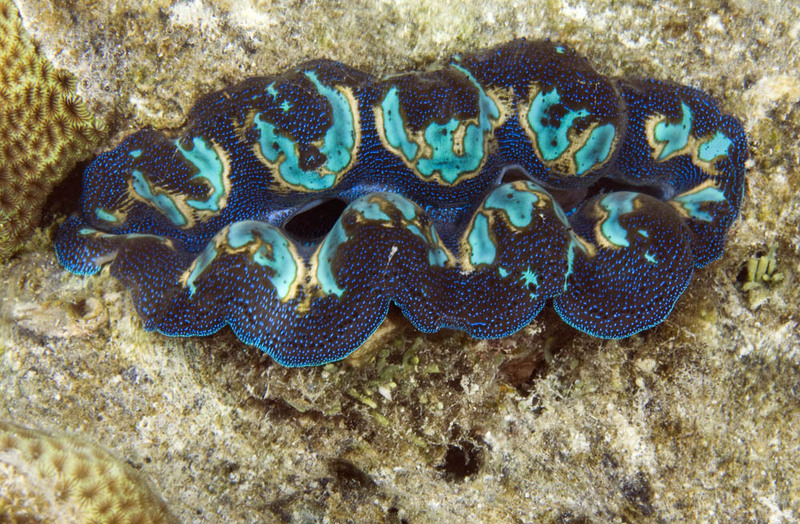 MOLL 9409 Tridacna gigas, Giant clam, Raja Ampat, West Papua. 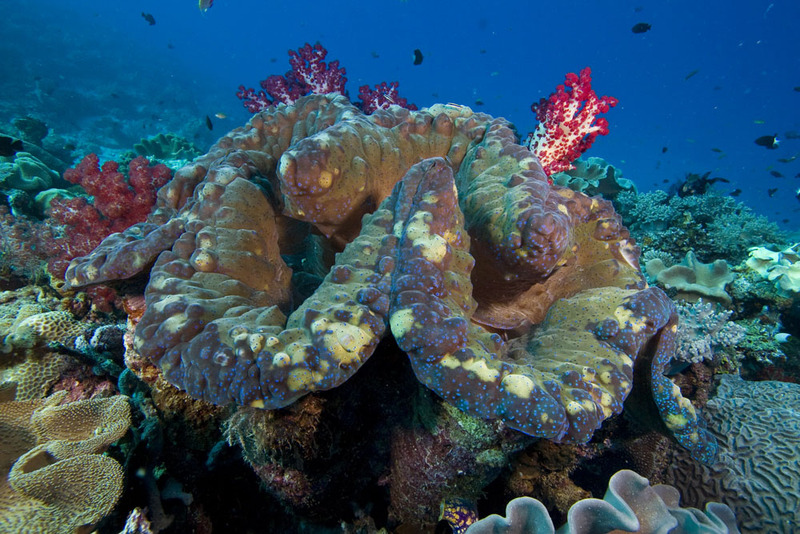 The world's largest giant clam? 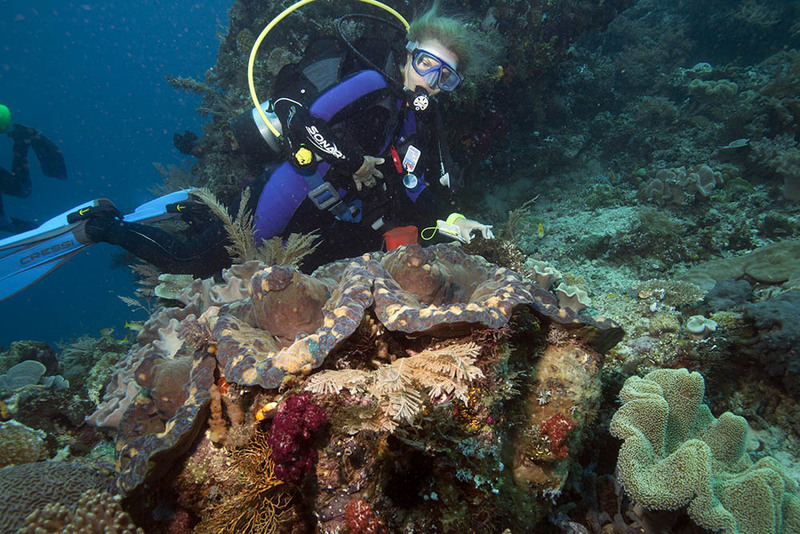 MOLL 2117 Tridacna gigas and Kerstin Rawlins Kri Eco, Raja Ampat. IMG 3530 Tridacna gigas, Giant clam, Mamanucas, Fiji. 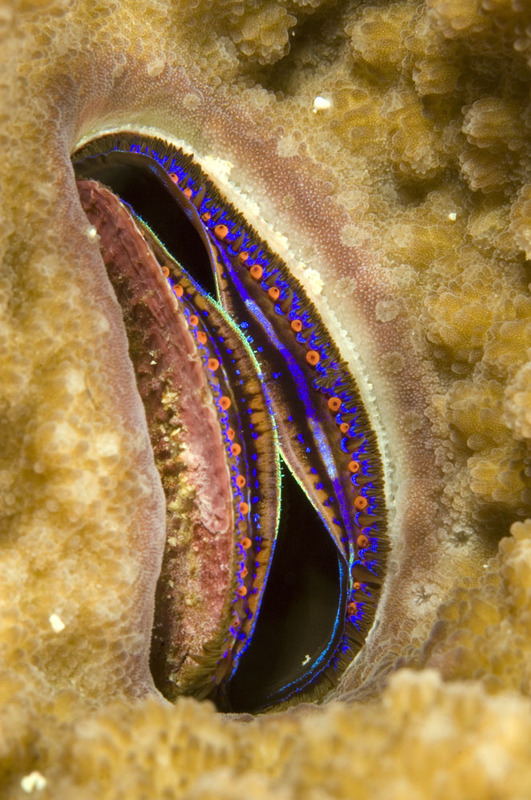 MOLL 8223 Tridacna maxima Maxima giant clam, Ledge-end, Great Barrier Reef.